They say that Malon of Lon Lon Ranch hopes that a knight in shining armor will come and sweep her off her feet someday.. The skirt, blouse, and scarf are all 100% linen of varying weaves and thicknesses. 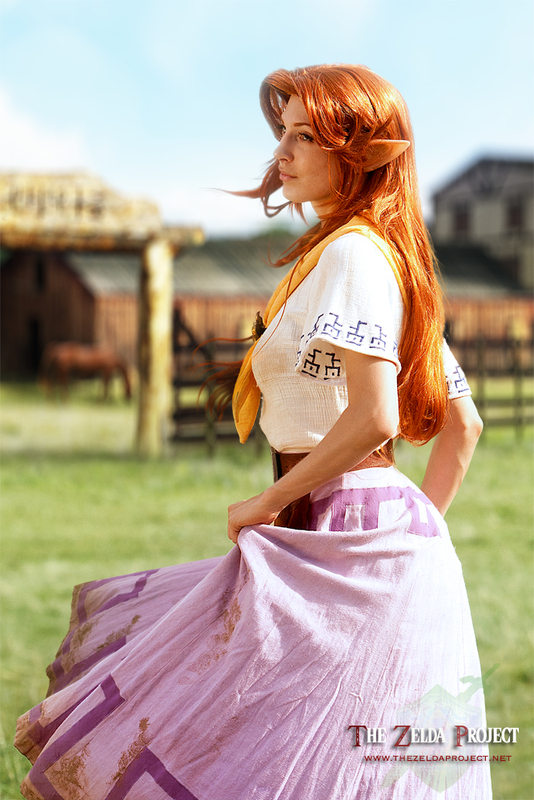 The costume has been distressed to show wear and tear, assuming that Malon would get dirty if she was working on the ranch all day! The background is a beautiful digital matte painting by Mickael Forrett. Can you pinpoint where she's standing?